OLDTOWN- Samuel Kevin Poland,75, of Oldtown, MD, went to be with the Lord on November 15th, 2018 at 7:32 A.M. in his home surrounded by his loving wife and close family. Born January 23, 1943, he was the son of the late Arthur Thomas Poland, and the late Elizabeth C. (Sloan) Poland of Lonaconing. He was the brother to Raymond Poland, Paul Poland and Dorothy (Poland) Williams, all of which preceded him in death. He is survived by his wife of 55 years, Christina (Bittinger) Poland, his four daughters, Christina Knox, her husband Terry, their two children, Stephanie(Knox)Carswell, her husband Michael, and Christopher Knox, Becky Fike and her husband Brian, their two children, Brandon Fike and his wife Alissa, Brett Fike and his wife Trisha. Karen South and her husband Dwight, their three children Joshua Cosner, his wife Autumn, Adam Cosner and his wife Casey; Samantha South Fadeley and her husband Randy; Wendy Golliday, her four children, Trista (Golliday), Taylor and her husband Alexander; Wayne Golliday and his wife, Desiree, Brittany Golliday, and Grayson Golliday, whom he raised as his own children. He was also blessed with ten great-grandchildren, Elek Taylor, Elexsta Taylor, Taitnum Taylor, Xzavier Taylor, Grace Fike, Chloe Cosner, Rainy Carswell, Saria Fadeley, Kurijah Fadeley, and Grayson Golliday. He loved being with his family, hunting, fishing, and anything outdoors. He always had a story to tell to whoever listened. He was a member of The Bethel Assembly of God Church, where he attended faithfully. 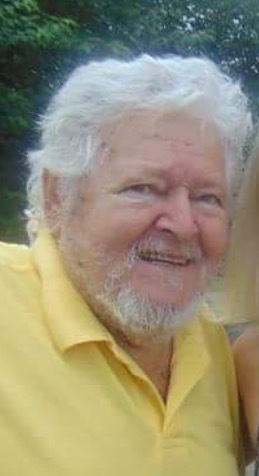 Friends will be received at the Sowers Funeral Home on Monday, November 19th, 2018 from 11 A.M to 1 P.M. The funeral service will follow at 1 P.M. with the Rev. Carolyn Wilson and the Rev. Steve Nelson officiating. Interment will be in the Emmanuel United Methodist Church Cemetery.